The Supreme Court bench comprising Justices Ranjan Gogoi, Prafulla C Pant and AM Khanwilkar, on July 15, asked the Centre to decide, within four months, how to ensure that all army personnel, serving in the far-flung areas are not deprived of their right to vote, keeping in mind the Constitutional mandate in this regard. Currently, a committee of Union Ministers constituted for the purpose, is examining this issue, and is likely to submit a report to the Government. The Supreme Court, had on March 8, asked the Centre to specifically examine as to whether it is possible to ensure that postal ballots, where such option is to be exercised by an intending voter, can be reached and retrieved within the window period or if some other mechanism like e-voting can be introduced for this category of voters. The feasibility of permitting registration of a serving officer in a peace station by waiving or reducing the period of three years of residence is another aspect of the matter which the Union of India may have to consider. Currently, there are three modes by which the members of the Armed Forces and their families ( in peace stations) can cast their votes. They are postal ballot, proxy voting or by voting in person in a peace station. The Court, however, found that there are inherent restraints in each of these mechanisms which need to be addressed by the Union of India in consultation with all the stakeholders including the Election Commission. The Centre took the stand that the constituencies in the far-flung areas of the country have a small civilian population and a large population of serving personnel and, therefore, the possible effect on the demographic pattern has to be worked out. The Court also asked the Centre to examine the feasibility of permitting registration of a serving officer in a peace station by waiving or reducing the period of three years of residence. Earlier, the Punjab and Haryana high court, on August 22, 2013, dismissed a similar petition filed by Brig. Hardeep Singh Ghuman (Shaurya Chakra), who was a former officer of the defence services. His grievance in the petition was that the Election commission has failed to initiate the process of preparation of electoral rolls within the defence areas. Brig. Ghuman contended that the delay of dispatch of the ballot papers from the Returning Officers to the Service Voters and then the postal delays leads to the said postal ballots reaching back to the ROs after the declaration of the results which defeats the very purpose . The High Court refused to entertain Brig.Ghuman’s PIL on the ground that right to vote is not a fundamental right, but is a recognized statutory right. The High Court disagreed with the petitioner that there is denial of any voting right to the armed forces personnel, and that ample opportunities have been granted to exercise the right in accordance with the statute. The High Court also justified the condition of minimum three years residence at the place of posting to be eligible for the right to vote by the armed forces personnel on the ground that they may be exposed to active politics, by politicians, political parties and contesting candidates, which has its potential dangers. 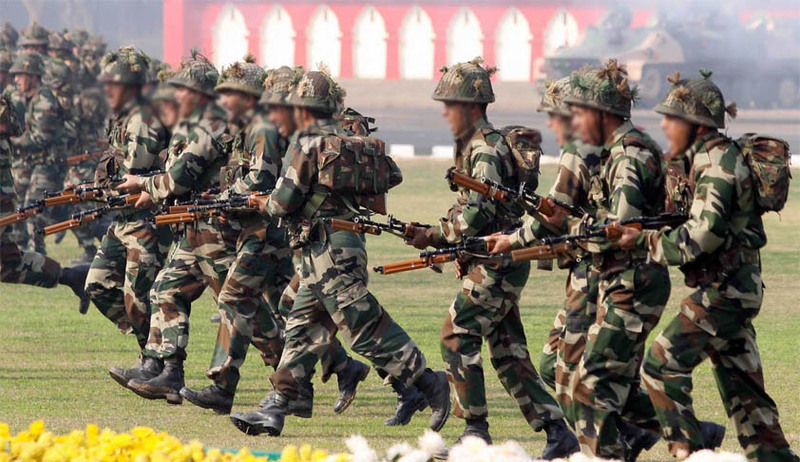 The neutrality of the armed forces need to be maintained, and it is essential so that the interest of the country is not adversely affected in any manner, held the high court bench comprising the then Chief Justice, Sanjay Kishan Kaul and Justice Augustine George Masih, in 2013. This high court judgment has been appealed against in the Supreme Court by way of Civil Appeal, by Rajeev Chandrashekhar, Member of Parliament. This CA has been tagged with a writ petition, filed by Neela Gokhale, in 2013. The case will be listed again after four months.